We waited for what seemed like, and was, an eternity for her response. We expected nothing less than what we got. However, we were STILL stunned she’s riding the yellow gravy train regardless if said train is no longer yellow and said train derailed months ago. At last check, there were 1052 comments on her bewildering Washington Post piece. So it’s obvious the public is pretty much flabbergasted at her as well. I really haven’t anything to add to the cacophony of WTF, so I created a simple Venn diagram to attempt to visualize my feelings. Venn diagram trolls may desire more complexity. I, however, think this is perfect. 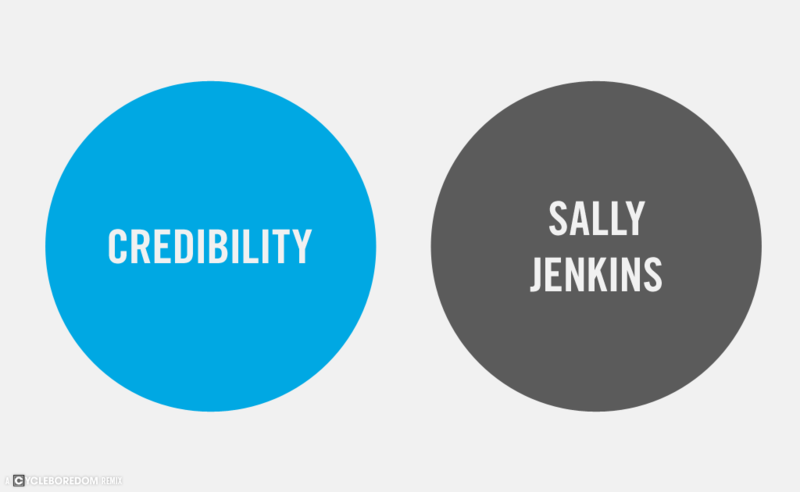 Note: Distance between Sally and her credibility is not to scale. It’s much farther than pictured.